Shares of Praj Industries surged 8 per cent to Rs 149 on the BSE in early morning trade on Wednesday after the company announced it has signed a Construction License Agreement (CLA) with US-based Gevo Inc to commercialise the technology for the production of isobutanol using sugar-based feedstocks, such as juice, syrup, and molasses. “Pursuant to the CLA, Praj will provide Engineering Procurement and Construction (EPC) services to 3'd parties using a process design package developed by Praj. This package uses Gevo's proprietary lsobutanol biocatalyst on sugary-based feedstock. Isobutanol derived from said proprietary process is high energy renewable intermediate product that finds application in aviation and racing cars,” Praj Industries said in a press release. The company also signed a Memorandum of Understanding (MoU) with Gevo to commercialise the latter’s renewable hydrocarbon products. It has also signed a pact to produce isobutanol using agricultural residue, such as bagasse, and rice straw, among others, it said. 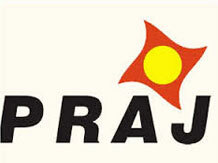 Thus far in the calendar year 2019, Praj Industries has outperformed the market by surging 35 per cent, against 8 per cent rise in the S&P BSE Sensex. The stock hit an all-time high of Rs 168 on March 7, in intra-day trade. The company had reported 175 per cent jump in its net profit at Rs 34.96 crore for the first nine months (April-December) of financial year 2018-19. Operational income grew 19 per cent to Rs 773 crore over the same period previous fiscal. As on December 31, 2018, the company had the consolidated order backlog of Rs 990 crore, which comprised 76 per cent from domestic orders and 24 per cent international orders. The management said the visibility of business is steadily improving in light of continued mandate intensity in domestic and international markets as well as favorable customer response to a wider bouquet of offerings.